This book offers a Reformed perspective on contemporary ecumenical discussion by carefully exploring the biblical message of justification and then demonstrating how justification as a doctrine functions as an integrative theological principle. 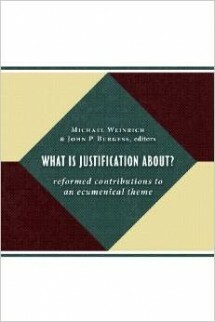 Written by an international group of distinguished Reformed scholars, with the support of the World Alliance of Reformed Churches, What Is Justification About? also considers the relevance of justification for social ethics and contemporary cultural issues.